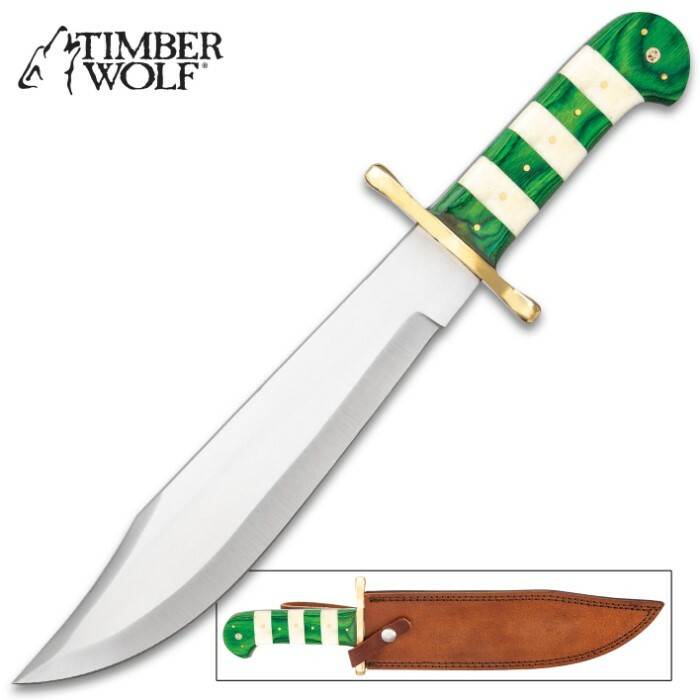 Timber Wolf has continually produced exceptional products and that’s why after more than 30 years, they are still The Leader of the Pack! 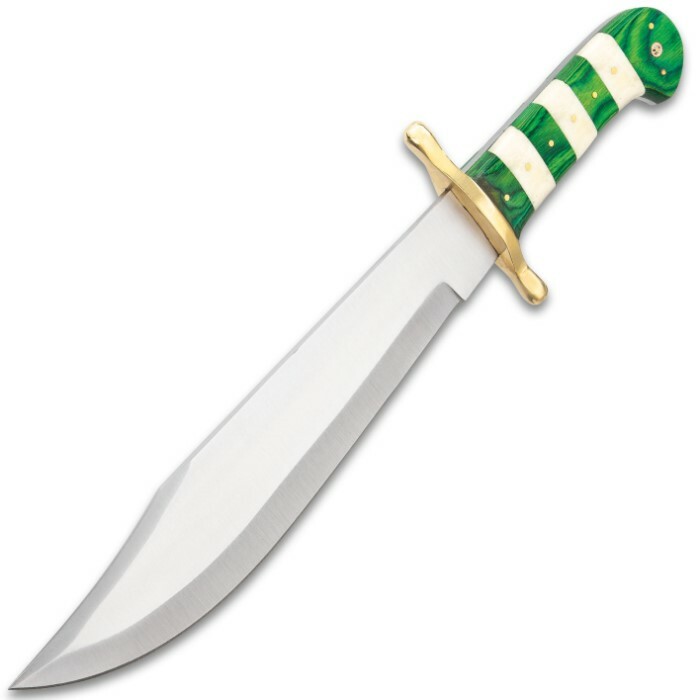 Building on the promise of giving customers exactly what they’re looking for, the Emerald Stripe Bowie Knife performs - plain and simple. 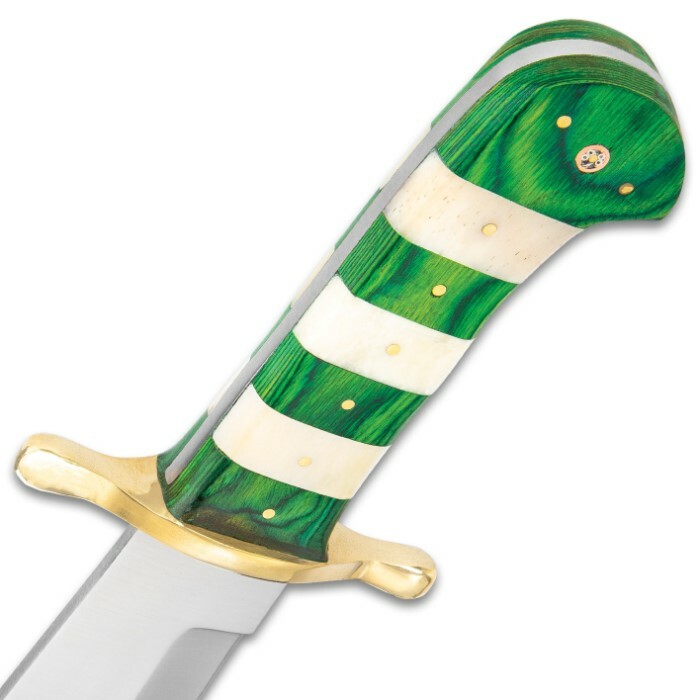 It has a 10 1/2’’ full-tang, 3Cr13 stainless steel clip point blade with a mirror-polished finish and a hefty brass guard. 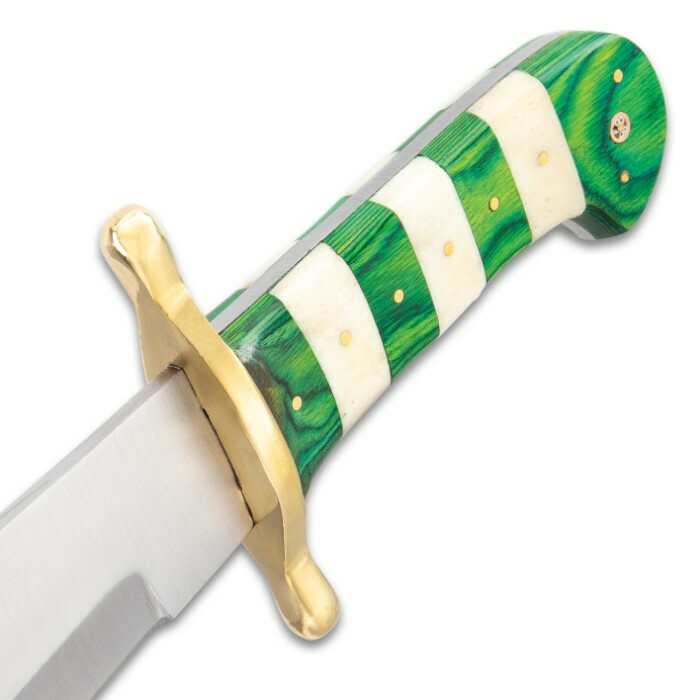 The handle is crafted of genuine natural bone and green wooden panels, secured by brass pins, and it has a lanyard hole. 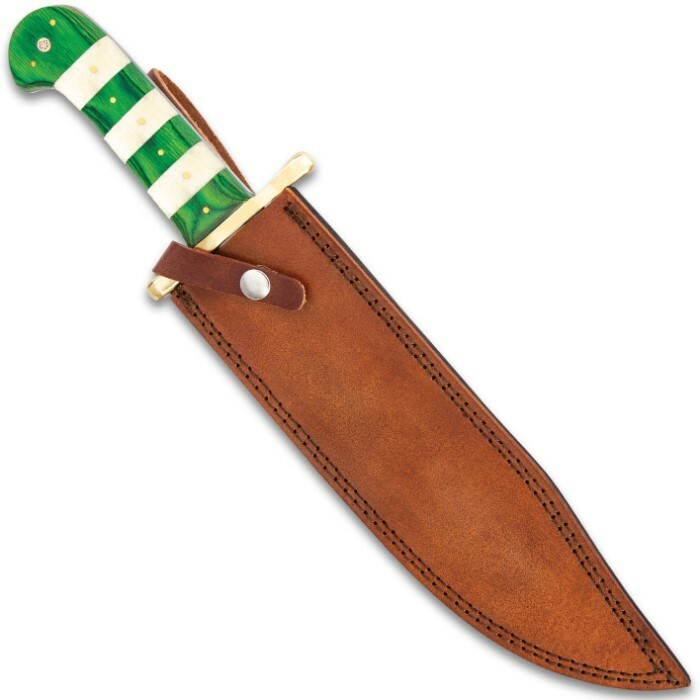 The custom-look bowie knife is 16” in overall length and the blade is housed in a premium leather belt sheath.